The gold lip oyster, which grows up to 12" in diameter, is the largest pearl oysters in the world. 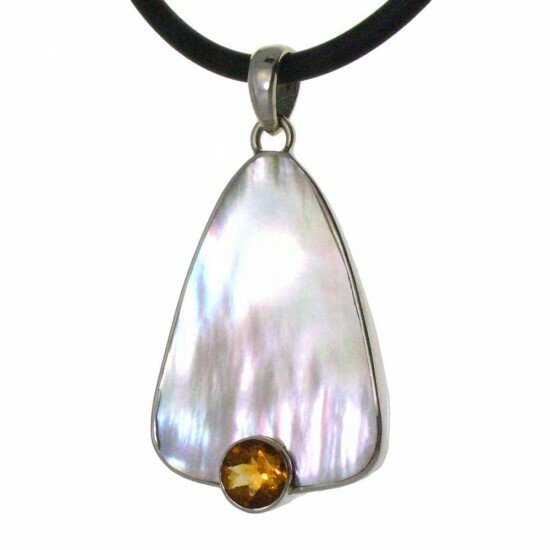 Their inner shell, known as "mother of pearl", is used worldwide in fine jewelry. Our skilled artisans in Bali only use the very finest grade for this contemporary pendant. The beautiful iridescent white is accented with fully faceted gem grade citrine weighing .75 carats.